Let's consider at first the configuration of a single cell. The basic postulate is that it's state may be described by a single three-dimensional affine transformation. 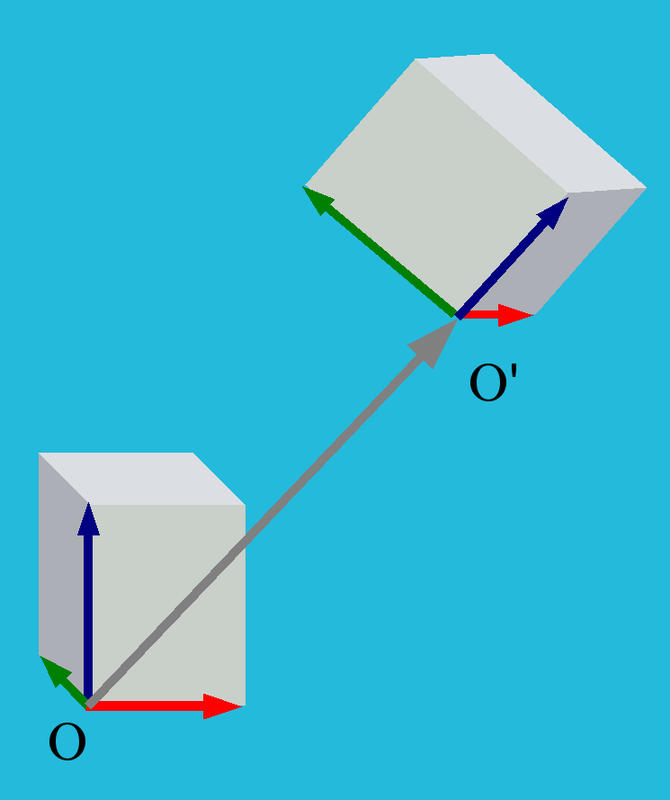 This transformation is the operation which is required to shift, rotate and stretch the cell starting from some "undeformed reference cell" located in the origin O. Of course, it would be imaginable to consider more complex, nonlinear deformations of the cells. But a simple affine transformation is, clearly, preferable by Occam's razor in comparison with more complicate deformations. Another argument in favour of a simple affine transformation is the "principle of linearization": Whatever happens in nature in some continuous way, in some limes (where the effects become small) we obtain something linear. In this sense, linearity is universal. Applied to deformations, we conclude that the description of the deformation with a single affine transformation is universal as a first approximation. Now, once we have clarified how to describe the state of a single cell, it is easy to describe the state of the whole lattice. It is simply the corresponding set of functions (aiμ(n1,n2,n3)), where n1,n2,n3 are integer numbers which enumerate the cells of the lattice. This set of functions is denoted by Z3→Aff(3), or, alternatively, by Aff(3)(Z3). The lattice functions (aiμ(.,.,.)) correspond to electroweak doublets of the standard model of particle physics.